The latest exhibition at California State University, Northridge’s Art Galleries explores artist Karla Klarin’s career-long fascination with the unheroic, overlooked and quotidian landscapes of the imperfect, yet beloved City of Angels, Los Angeles. “Karla Klarin: Subdividing the LAndscape” opens Aug. 29 and runs through Oct. 8 in the galleries located at the northern end of the university’s campus (18111 Nordhoff St. in Northridge), just west of Etiwanda Avenue off Halsted Street. CSUN Art Galleries Director Jim Sweeters has been a longtime fan of Klarin’s work and said he is delighted to have it open the season. “It’s a sort-of homecoming,” he said. Klarin was raised in the San Fernando Valley and was one of the first artists to live and work in downtown Los Angeles in the 1970s, helping establish the area’s arts district. Klarin made paintings and constructions that embraced a city in transition and defied clichés and stereotypes. Despite recognition early in her career from the Los Angeles County Museum of Art, which honored her with its Young Talent Award in 1982, Klarin has largely worked under the radar for more than four decades. “Karla Klarin: Subdividing the LAndscape” features select pieces drawn from several bodies of the artist’s work that highlight Klarin’s sustained and diverse vision of the Southern California landscape. The exhibition features more than 35 paintings and wall constructions, and includes the artist’s recent “Natalie’s House” series that takes the Van Nuys subdivision of her youth as its starting point. A fully illustrated catalog of the exhibition includes contributions by the show’s curator, Damon Willick, an art history professor at Loyola Marymount University, as well as original essays by Director Emeritus of the J. Paul Getty Museum John Walsh, American essayist D.J. Waldie, and Dave Bushnell, Klarin’s husband. An artist reception is scheduled for 4 to 7 p.m. on Sept. 10, and an gallery talk about the exhibition is scheduled for 10 a.m. on Sept. 12. A major art exhibition space in the San Fernando Valley, the CSUN Art Galleries are located a few miles north of downtown Los Angeles. The galleries have mounted more than 500 exhibitions since 1980, with a yearly gallery attendance averaging 25,000 visitors. Gallery hours are from noon to 4 p.m., Monday through Saturday, and noon to 8 p.m. on Thursday. 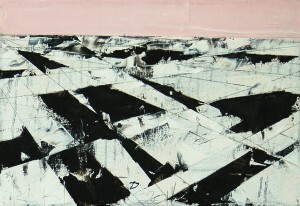 For more information, call the Art Galleries at (818) 677-2156 or visit www.csun.edu/artgalleries. For further information, call Sweeters at (818) 677-3060.